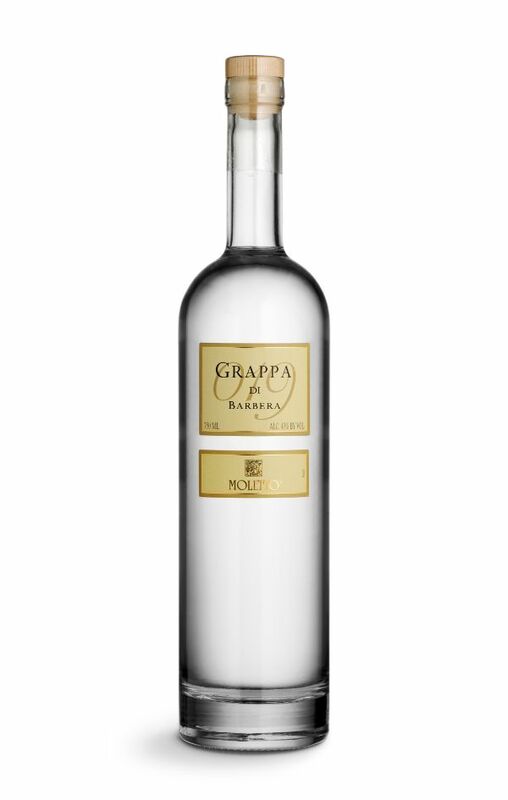 Moletto Grappas are all single-vine grappas created by distilling the marc of just one variety of grape. They have refined flavor and a unique bouquet of elegance. They are produced with traditional copper stills. 92 pts. - Beverage Testing Institute - Clear. Dried pear, prune and pepper aromas. A round, silky entry leads to a fruity medium body of dried fruit, sweet cream and peppery spice flavors. Finishes with crisp, warming, balanced, and lingering pear with a crème Anglaise fade. A superb and complex choice to conclude a hearty Mediterranean meal.